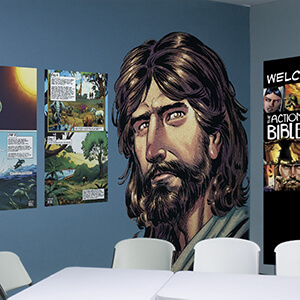 Transform your kids’ ministry area into a jaw-dropping, action-packed environment with huge wall graphics and banners from the best-selling The Action Bible! Choose from a variety of wall adhesives and vinyl banners that will make the Bible come to life in your church! 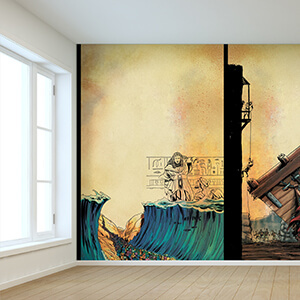 Create a mural with these powerful Action Bible scenes. 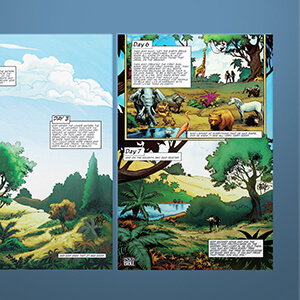 Each wall scene is 5' x 8' and comes in two panels. © 2018 by David C Cook, 4050 Lee Vance Drive, Colorado Springs, CO 80918. All rights reserved.